2 New Bags! | w3bCh1ck! Home » Up^Cycles » 2 New Bags! 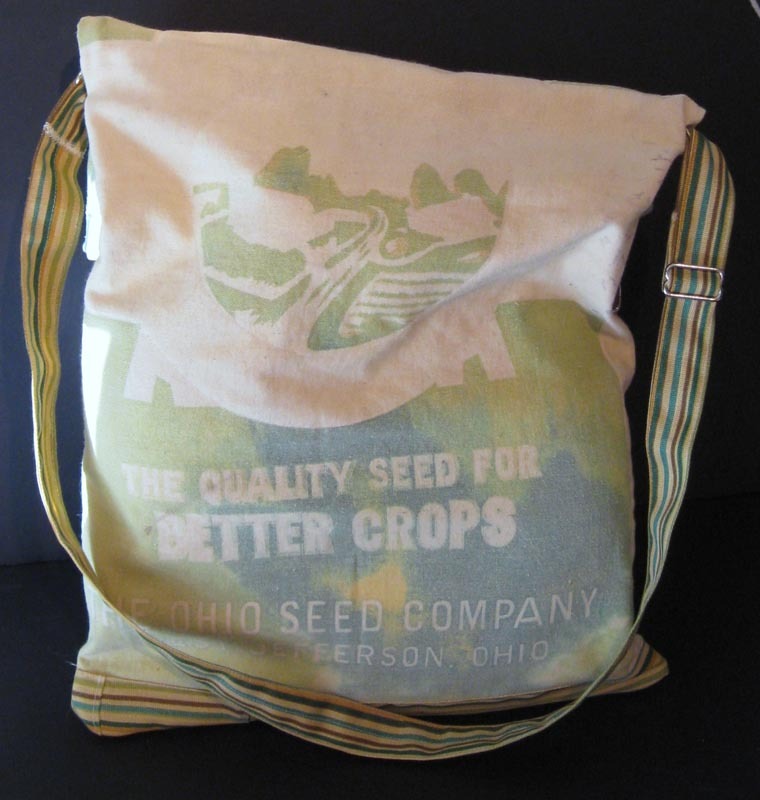 A simple fold-over shoulder bag, a great size for carrying books. 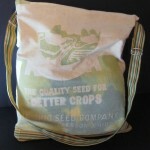 There is a recycled zipper top closure & the shoulder strap is nice and long and adjustable. The lining is a nice cotton print with farm animals all over (see picture). The accents are a blue/green striped upholstery fabric. Click to view more pictures on my Etsy Store! 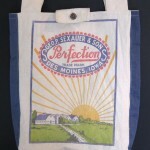 This tote bag features contrasting blue & white fabrics on the outside & a colorful striped cotton fabric on the inside. 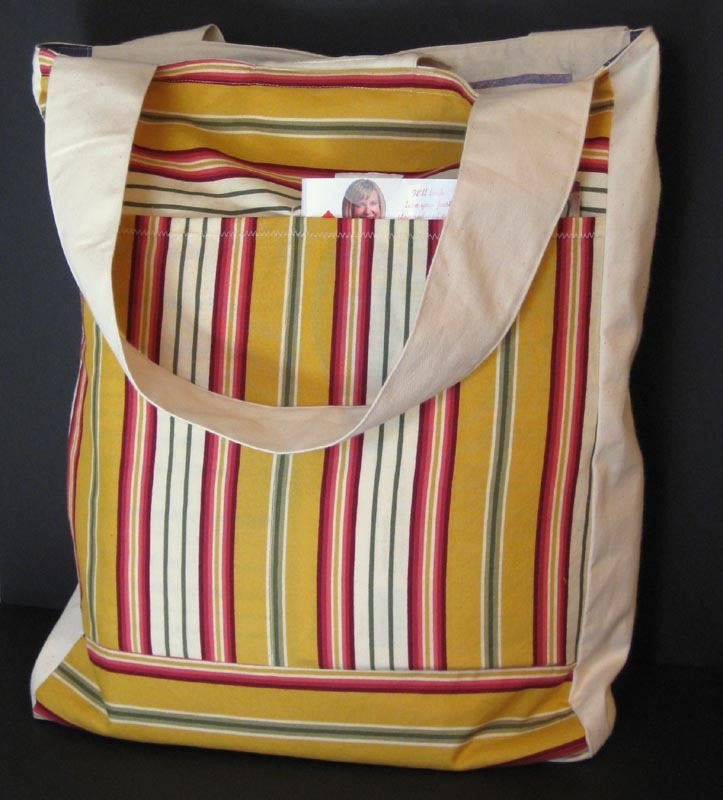 The back has a full height pocket with a tabbed top. 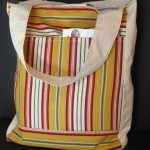 This bag is completely reversible, the inside has 2 pockets. A petite swivel hook is attached. 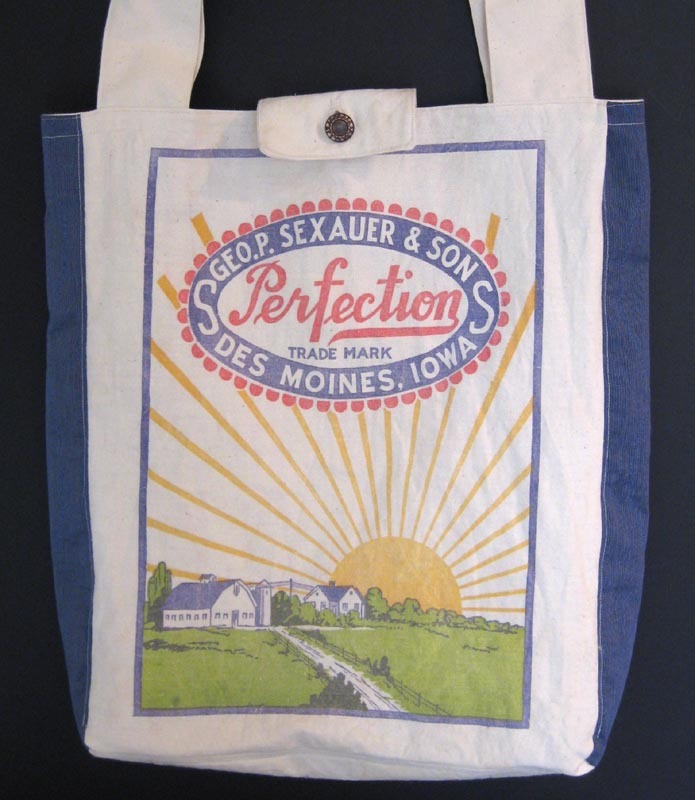 The top features a button tab closure.